72% of the earth is composed of water and that water acts as a big mess too. We've all heard that warming of the ocean mass results in the reduction of glacial ice, rising sea levels, torrential rains in some areas and hunger in others. Our ocean will get aid from our efforts to reduce carbon pollutants. How benefit we can do this? A healthy ocean plays a role in a healthy and balanced environment to central our life on the earth. 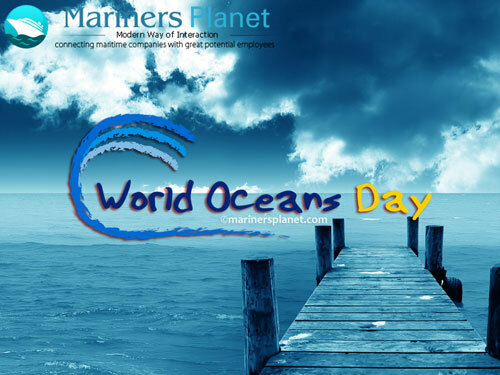 8th June is considered as World Ocean Day, the UN-designated International Day for the globe to enjoy and spread our activity to the ocean. One of the biggest risks to the ocean is also one of the most threatening because possibilities are it’s so ordinary you never even observe it. Look around at the moment, how bad do you see? The ocean is located downstream from all of us, so no matter where we live, so we can all help solve the problem of evil of plastic contamination in the ocean. Each season has a lot of plastic get tainted and damages ocean life. Many creatures such as seabirds, turtles, fishes, dolphins and whales are killed each season because of imbroglio or starvation, because they fill their stomachs with plastic instead of food. Take steps on the World Ocean Day and prevent plastic to damage our ocean life. Let’s reduce the use of plastic this season to help conserving our ocean life. Help stop plastic contamination at its source! As customers, we each have the power to decrease need. And if you motivate buddies and family to do the same the more, the more good we can do to keep the ocean alive and well. Here are a few non reusable nasty products everyone can decrease in our everyday lives like plastic bags, bottles and other disposable plastic products. Arrange a marine clean-up! Head out to your closest and beloved lake with some friends and pick up all the junk you find. You will be amazed at how much of it is nasty. THIS IS OUR OCEAN. Every one of us can do something to regard and recognition the oceanic masses around the globe. Won't you be a part of me and begin today? Let me know what activities you choose to take!